X-ray technicians, called radiographers formally, have the ability to help both doctors and patients with their work. It’s a job that requires you to move, lift, and be on your feet, but it’s also one that gives you the chance to calm nerves and help doctors come to a conclusion that will alleviate patient pain or solve problems. 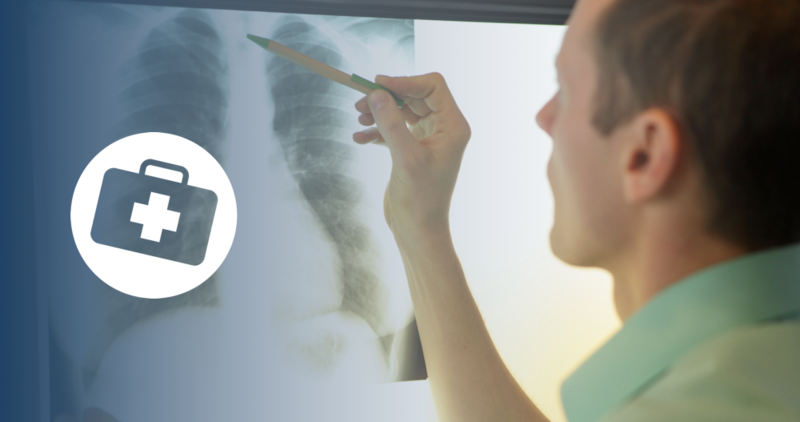 To become an x-ray technician, there is a clear-cut path you must take. You’ll need to go to a college that offers, at minimum, an associate degree in radiography. If you are already working within the healthcare field, you may only need one more year of courses specific to radiography. To earn a larger salary, you might want to consider obtaining a bachelor’s degree, which would put you at an advantage when you enter the competitive job market. What Exactly Does An X-Ray Technician Do? In a nutshell, a radiologic technician is a professional who is trained to take x-rays of patients’ bodies, whether it’s their bones, chest, stomach, or beyond. You’ll also prepare patients, and maybe soothe them if they are visibly nervous. X-ray technicians do not read the scans. That is left for the doctor, despite the fact that you may be able to tell what is going on inside the patient by looking at the images. Even if the patient asks, you aren’t permitted to give a response about the results. Instead, you can kindly tell your charge that the doctor will be taking a look and getting back with him or her. Becoming an x-ray technician is an attractive and competitive field. There are ways to prepare before hitting the college campus that will give you a competitive advantage. Classes you’ll be expected to take are physics, chemistry, advanced math, and anatomy to name a few. Achieving high grades in these courses on both high school and college levels will raise you to the top. If you didn’t do well in these types of classes in high school, you might want to take them again in college before even applying to the radiology program. The route toward a career as an x-ray tech is not an easy one. You’ll be taking classes in anatomy, physiology, radiation physics, medical terminology, medical ethics, radiobiology, pathology, positioning, and labs. There will also be clinicals you’ll be required to do. You’ll be working in the ER, diagnostic rooms, operating rooms, and quite possibly, the morgue. Clinicals give you real-life experience and insight, and you will probably rotate every semester. Once you’ve completed your schooling, you’ll need to get certified. Each state has different rules, and some states do not even expect you to be licensed. It’s important to find out what your state expectations are. You’ll take an exam through the American Registry of Radiologic Technologists (ARRT). Once you pass that, you’re ready to go and work as a qualified x-ray technician. Increasing your capabilities is always a good idea, especially in the case of a tough job market. Or you may find you just enjoy working your extra skills. Radiologic technicians can specialize in mammography and computed tomography. You could also train to work as a MRI technologist and create pictures of tissues, or be a sonographer and produce images of the heart. Other similar careers include nuclear medicine technologists, who create images of certain parts of patients’ bodies with radioactive drugs, and radiation therapists, who use radiation to treat cancer and other diseases in people. No matter what specialization you choose, helping patients and assisting doctors starts by learning the field. Choose the degree you’d like to go after, and get into classes at a school near you.